LAHAINA — As the sun set Saturday over West Maui, it signaled the closing of another chapter in story of Moreira “Mo” Monsalve’s life. Monsalve, 46, mother of three, went missing Jan. 12, 2014. She was last seen at her ex-boyfriend’s apartment in Wailuku. No notice. No witnesses. No sign of her in five years. Just her purse and personal belongings discovered days later in a trash bin. Many remember the case because it came a month before Carly “Charli” Scott’s disappearance. Steven Capobianco, Scott’s ex-boyfriend and father of the unborn child Scott was carrying when she disappeared, was convicted of her murder in December 2016 and sentenced to life in prison after personal effects and body parts were found. 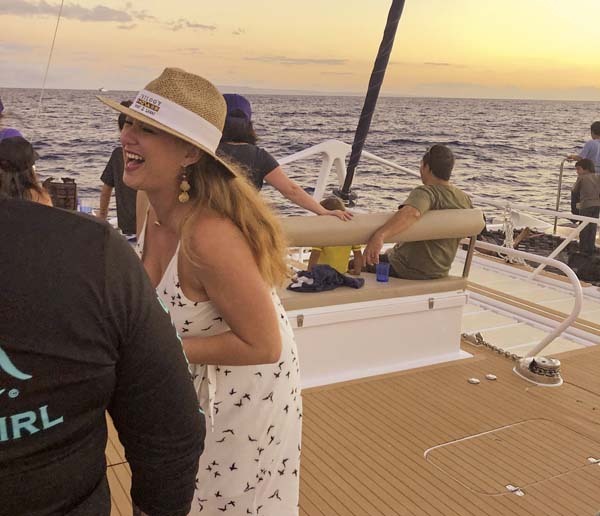 About two dozen friends and family, including Scott’s mother, Kimberlyn, gathered aboard Trilogy’s newest boat in Lahaina Harbor on Saturday to commemorate the fifth anniversary of Monsalve’s disappearance. 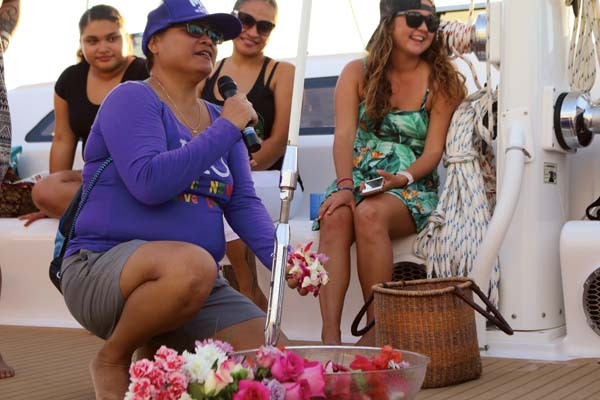 They sailed out into the Auau Channel to give Monsalve the “Viking funeral” that oldest daughter Alexis Felicilda said she and her mom laughed about long ago. 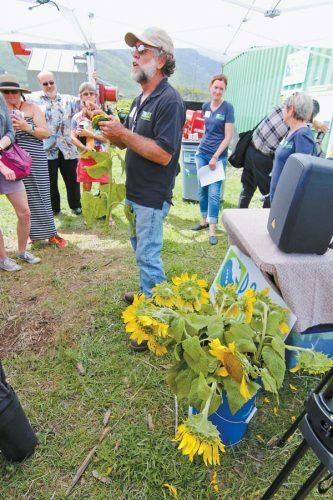 “But I can’t do the naked, flower-covered and lighting-on-fire thing, so I figure we will scatter flowers,” said Felicilda, 32, a mature, sharp-witted, Wailuku small-business owner, who is the conservator of Monsalve’s estate. The mother and daughter were also close friends and Felicilda knew “too many things” about her mom, she said with a smirk. Including that her 5-foot-7 brown-eyed, brown-haired mother wanted a Viking funeral. Alexis and her two younger brothers, Lono Felicilda, 28, and Tyson Felicilda, 23, will file for Monsalve’s certificate of death this year, which is procedural for many missing people after five years, and will help with estate legalities such as dealing with bill collectors. Five years with no word from a missing person is the minimum of time that must pass in which to seek a death certificate. After seven years of no word, Social Security automatically declares missing people deceased. 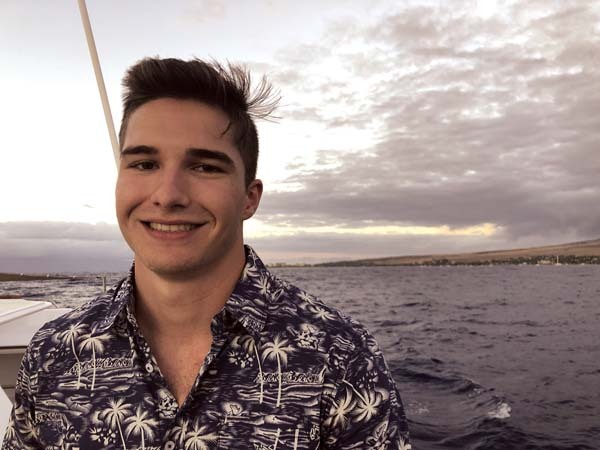 The Maui Police Department said Friday that the case remains active, and the potential death certificate would have no bearing on their continuing work. Two new detectives were assigned to the case last year to assist lead Detective Oran Satterfield and provide some fresh eyes to what they say is new information gathered through emerging technology. For now, though, everyone aboard the boat Saturday seemed focused on the loved one — not the case. Many described Monsalve as caring and sacrificial. They were laughing, crying, hugging, reflecting, celebrating and sharing stories, much the Viking, out-of-the-box ceremony that Monsalve would’ve enjoyed had she been there. On the day Monsalve disappeared, Alexis spent time with her mom and talked about “dreams for the future,” she said. Monsalve picked up her daughter, they spent time together and Monsalve dropped off Alexis at the Kahului Airport around 4 p.m. for a trip to Oahu. Monsalve was reported to be at ex-boyfriend Bernard Brown’s apartment in Iao Parkside a couple hours later. Brown told police Monsalve left his place at about 10 p.m., saying her son was going to pick her up because her car was being repaired. Two days later, after Monsalve hadn’t shown up for work or responded to phone calls, Alexis reported her mother missing. On Jan. 16, 2014, some of Monsalve’s personal belongings, including her purse, were recovered from a trash bin at the Velma McWayne Santos Community Center in Wailuku. Police and volunteers searched various areas, including Waipoli Road in Kula, without finding Monsalve. Over the last five years, many searches were held, all to no avail. About six months ago, two new detectives, Nelson Hamilton, a key investigator in Scott’s case, along with Matthew Bigoss, were assigned to Monsalve’s probe to provide a fresh perspective. The FBI has been assisting since the start. Lt. Derrick Lopez, head of the division’s Crimes Against Persons Unit, said Friday that the Monsalve case is “high priority” and therefore more resources are being allocated to the investigation. Brown, who left the island and moved to Northern California, is considered a “person of interest” in the case but there are still no suspects. Police said Friday that they didn’t know of Brown’s exact whereabouts now and have not been in contact with him recently. The detectives said Friday that emerging technology has helped uncover new information in the case, and they are hopeful that the “team effort” will continue to yield answers. “We want closure for the family,” Hamilton said. When asked whether detectives believe Monsalve is alive or dead in light of the family’s pursuit of a death certificate, Satterfield declined to give a determinant. 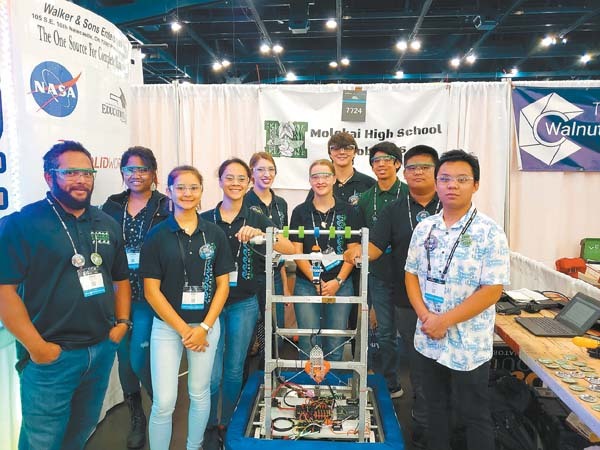 Originally from Maryland and the youngest of four daughters, Monsalve while in high school moved with her parents to Maui. She graduated early from St. Anthony School, had Alexis when she was 18 and soon after married Alexis’ father, Paul. Monsalve’s son, Tyson, who was in high school when she disappeared, is now a senior at Boise State University. Her other son, Lono, transferred to a base in Idaho to be close to his younger brother. 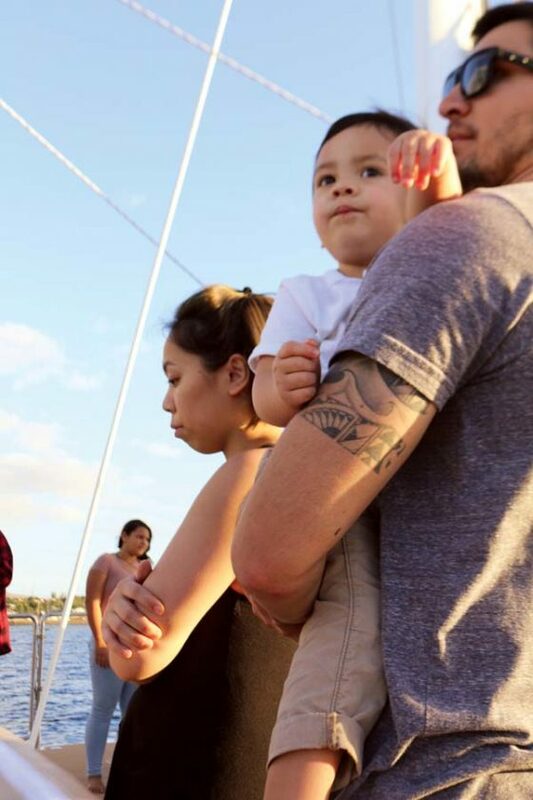 Lono now has 22-month-old son named Legend, Monsalve’s first grandchild, and he’s engaged to be married. As the sun goes down, some of Monsalves’ closest friends and family are getting ready to scatter flowers off the coast of a special spot the family would visit often when the kids were young. Many recalled what they miss most about her. Alexis’ aunt, Kristi Felicilda, said she will always remember the time Monsalve helped her oldest daughter get ready for her wedding. Tyson said he knows his mom would have loved the whales breaching and the dolphins swimming during Saturday’s boat trip. Monsalve would have viewed it as a spectacular event, he said. Lono said his mom was an outgoing person who was very caring. He said he misses just talking with her the most. And as the sun sets, the promise of a new day comes, as many on the boat vow never to give up hope that Monsalve will be found. 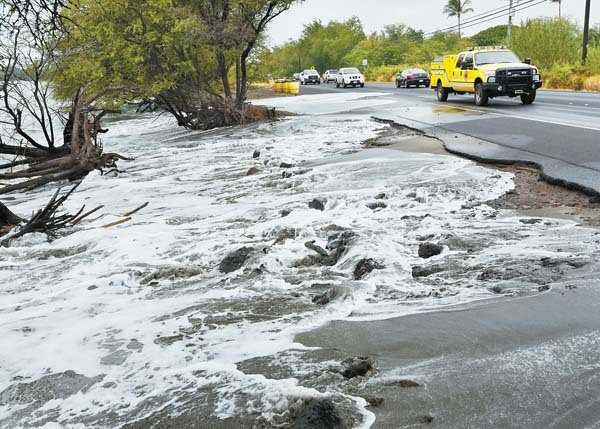 “It’s been so long, but I am still hopeful to keep asking for answers,” Lono said. Kimberlyn Scott, whom Alexis called her hanai mom, finished the ceremony with a call to continue vigilance, awareness and striving for answers. Alexis said that Kimberlyn has helped support her over the years, and this experience has fueled a fire for change. Alexis, who is Native Hawaiian and comes from a big, local family on her dad’s side, said Hawaii’s support has been a huge and positive part of her journey, which will never end. 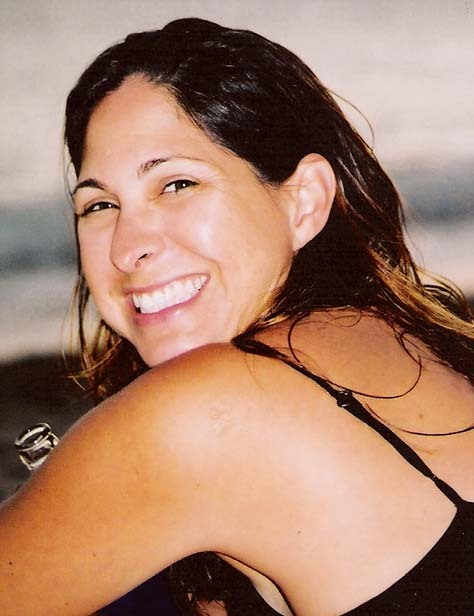 Monsalve case leads can be anonymous by calling Maui Crime Stoppers at 242-6966. Crime Stoppers pays cash rewards up to $1,000 for information leading to the arrest and indictment of people responsible for felony crimes.